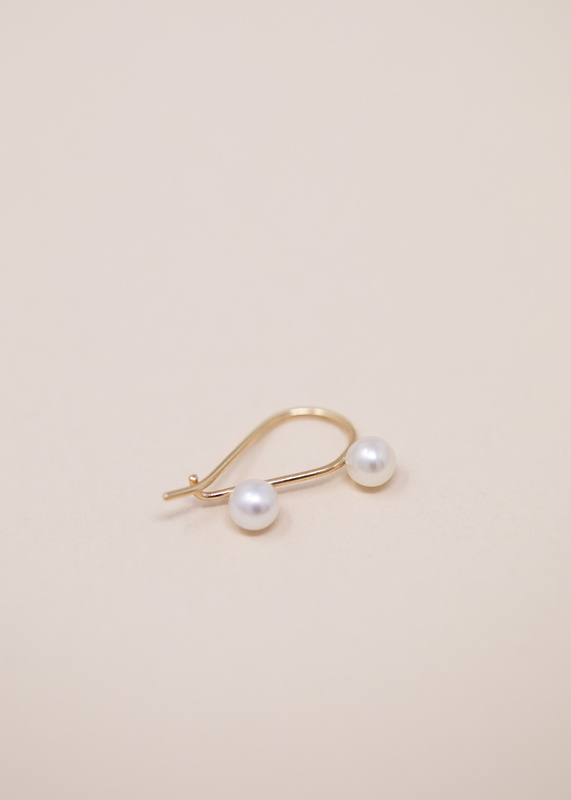 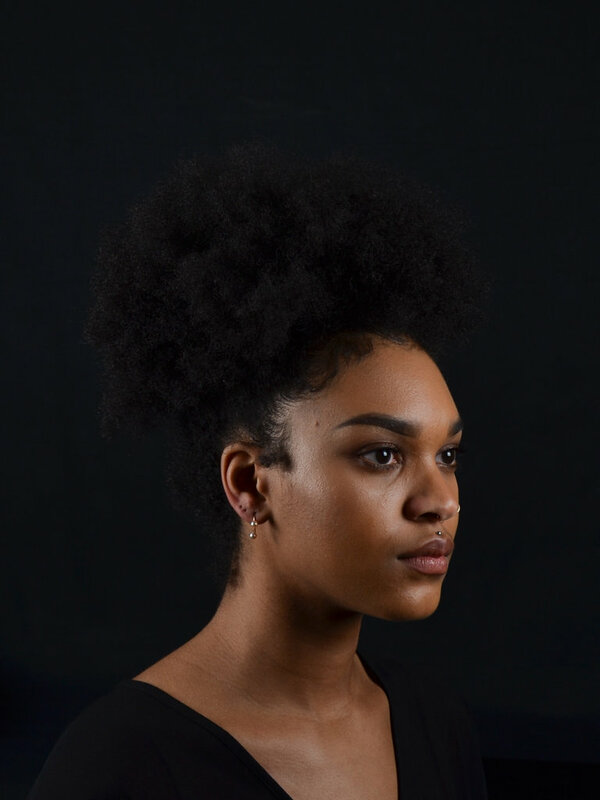 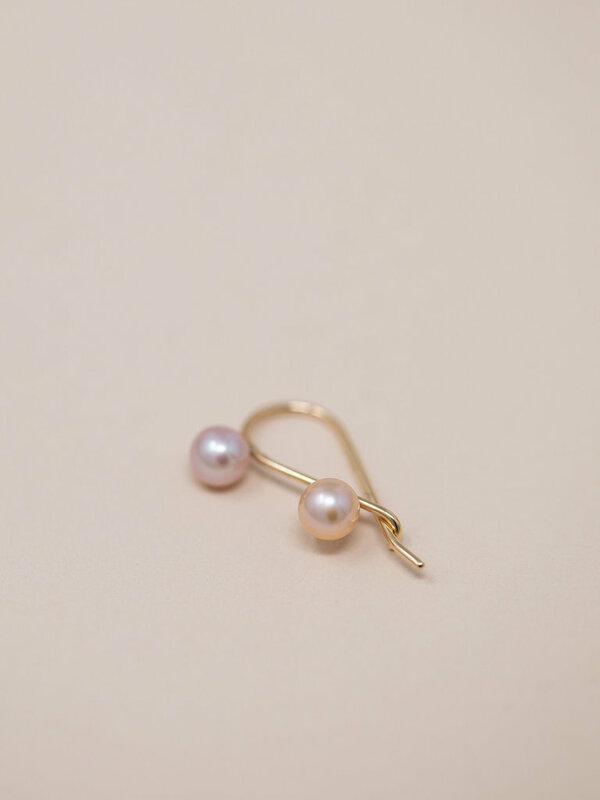 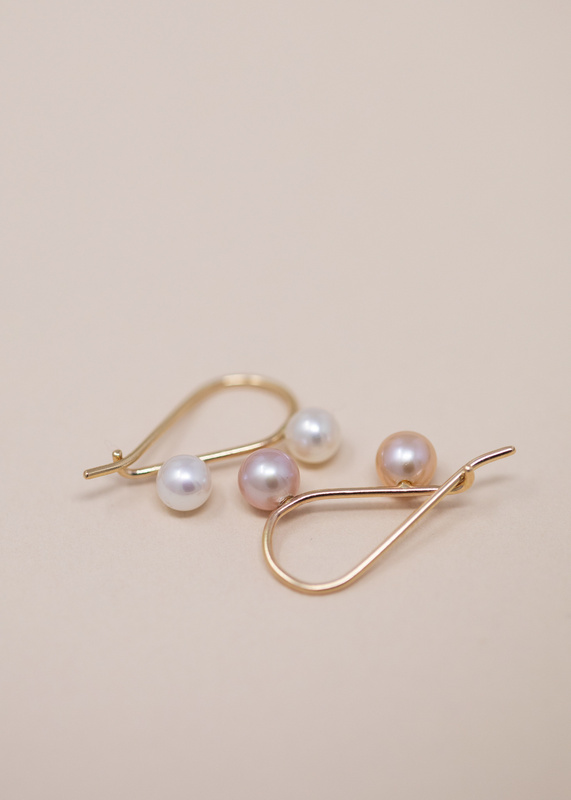 A single fine gold loop earring featuring two perfect pearls. 14 karat gold. 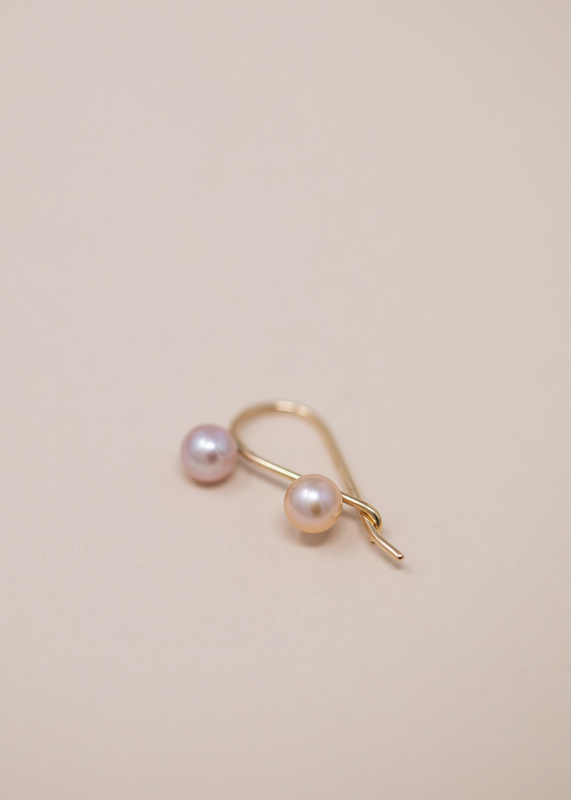 Pearls naturally vary in color. 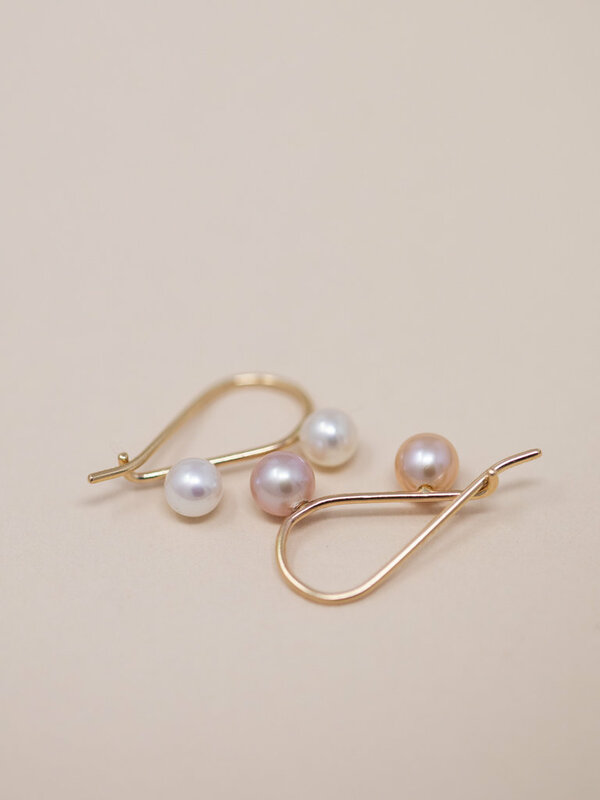 Sold individually, made in New York.